The proliferation of smartphones and tablets in the corporate world has created atremendousshift in the way many organizations do business. It makes sense that these personal devices could benefit the healthcare industry as well. But what are the benefits of bringing your own device (BYOD) for healthcare? And what are the cost savings? 1. Reduces costs. A BYOD policy in healthcare can let you save costs on data plans for your organization as each individual covers the cost of their own smartphone and iPads and other tablets. 2. Increases productivity (which improves profits). BYOD strategies in healthcare can help greatly increase the productivity of your healthcare practitioners. Your healthcare organization’s employees will produce more because they will have faster access to their emails, calendars, web access, contacts and so much more. You’ll have patient and insurance information at your fingertips at all times! 3. Improves relationships with your patients. By allowing devices like personal cell phones and tablets to be tools for your practitioners, they can use them to communicate more personally and frequently with their patients. It increases everyone’s satisfaction. These are just a few of the cost and productivity advantages of having a good BYOD policy in place in your healthcare organization. But it is critical that all your clinicians and physicians begin bringing all of their new devices that will be entering the workplace that you have a very strict BYOD security policy in place too. By ensuring all the emails, texts and browsing your associates will be doing won’t threaten the privacy of your patients is issue one. But there are may other reasons to keep your devices safe with good BYOD security. You should ensure your IT professionals are given the tools they need— from secure containers to a secure network operations center (NOC) to encryption and more. 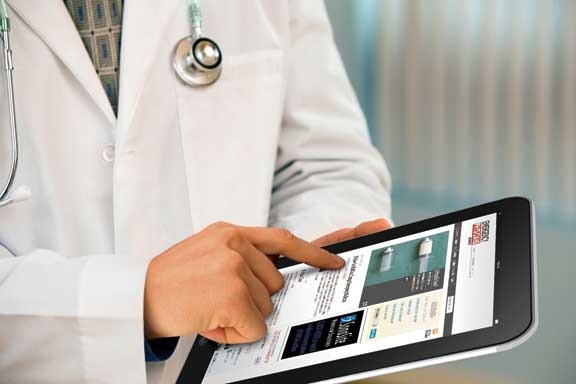 BYOD security protects your patients’ data. Be sure you have a BYOD expert or consultant help you use an encryption process to keep all patient data safe from prying eyes. You can easily have a policy in place that lets you erase information from a device remotely if it threatens security. You should also be sure that all devices comply with any other security measures you have in place. You can also provide good security all the way down to the app level. So as new apps are added to your employee’s devices, your security never becomes compromised. You can even use proven security measures to segregate any mobile app that accesses private or protected data from any other app that has been installed on a physicians device. It’s a process that uses tunnels to make sure that your organization’s information is never at risk to malware threats or any other mobile viruses or danger that might be on personal devices. BYOD security respects everyone’s privacy. Be sure you have a secure container to keep personal and company data separate so that you can protect all employees’ information from being exposed to your organization’s network. So enjoy this new age of mobility and convenience by allowing BYOD policies and security measures increase the cost savings of your healthcare organization. But be sure that the data you allow to shared through personal devices is secure to prevent the loss of critical data, while improving productivity. If you don’t have the tools you need to implement the proper BYOD policy in your organization, seek the expertise of proven technology consultants to ensure you are getting the maximum benefits of BYOD—from savings to productivity. SecurEdge Networks has worked with hospitals all over the country prepare their wireless networks for BYOD implementation. Contact us here is you have any questions or would like a free consultation. We are always happy to help!